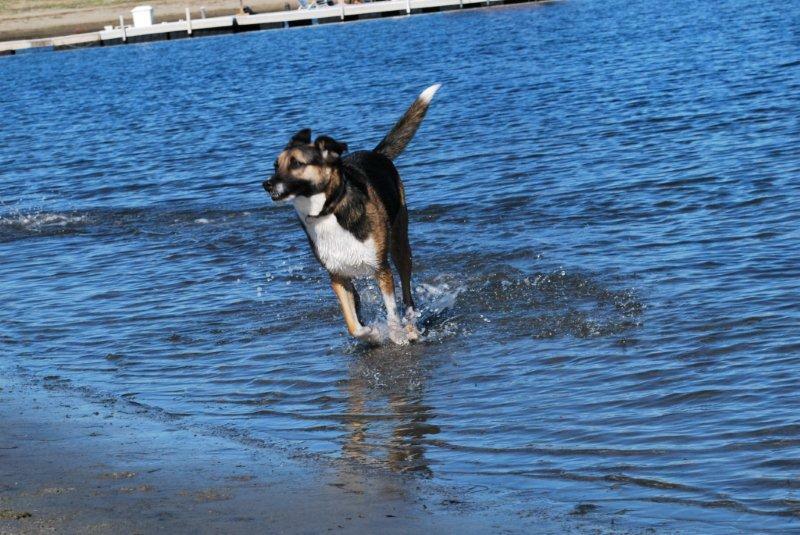 FitDog Friday: Rise and Shine Kampers! Rise & Shine K9 Kampers* - It's Time for K9 Kamp! 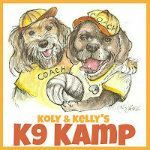 If you've been following the blog for a while, you probably remember last spring when Rita and I joined in the fun of K9 Kamp, with 4 weeks of fitness challenges sponsored by Koly of Kol's Notes and Kelly of Peggy's Pet Place. We were so honored last year to receive two awards (Gopher Wrestling Champions** and the Beach Babes Award! ), not to mention we won swag! This time, you can win swag too! Fun, right? Read on! 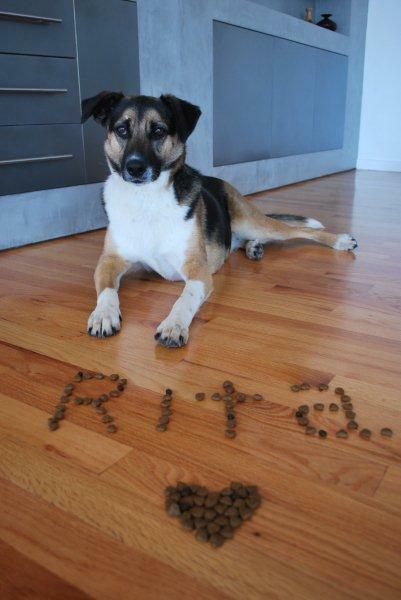 Rita makes us laugh (or at least smile) many times a day. One of the things she does is so darn cute and funny that I've been trying for ages to catch it on video. Almost every night when she goes to her own comfy little bed, she goes through this very energetic ritual of rearranging her blankie. It's like she has to have it just so or she can't sleep - although it usually just goes from one crumpled blob to another. I've been trying to capture this on video for months (after all, we've had her almost 18 months now! ), with no success. She really goes to town rearranging that stupid blankie when my camera is nowhere in sight. But whip out the camera, and she stops and stares at me like, "What?" Or she acts like "Nothing to see here." "Seriously, Momma. I'm not doing anything. Go away with your camera." I thought I'd almost caught her the other night - but no. I got 7 seconds of this. What a tease. But, then, finally (!) - success! I just wish I'd captured the usual grunts and harrumphing that generally accompany this behavior! 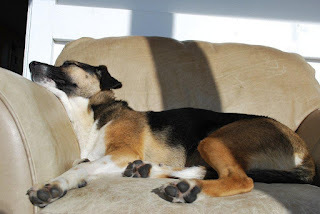 Does your pup have a nighttime ritual? A terrible - but hysterical - pic. See the mouse's tail? Hello everyone! Sorry the blog has been quiet for a week. I've been having blogging withdrawals, but hopefully starting tomorrow things will be back to normal. I had to take a break from the blogging mainly due to computer troubles (and also just plain being busy - we went away for a few days, it was the hub's birthday, my brother-in-law visited, my sis and I were prepping our entries for the fair - anyway, posts & pics to follow on some of that!). The computer was definitely the BIG problem though. My laptop died and I was forced to go out and buy a new PC. I'd known I needed a new one for a while but kept putting it off because I was overwhelmed by the options (Mac or PC? Laptop or desktop? Touch screen??). But when your computer dies, your forced to do some quick shopping. 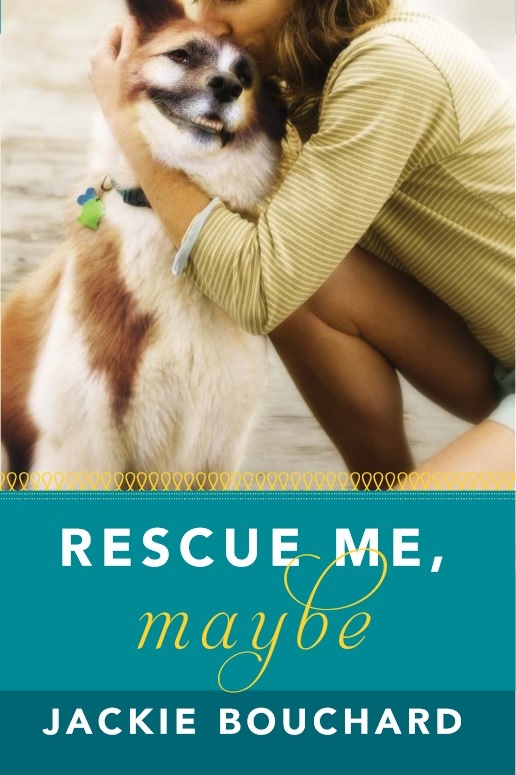 Chick Lit Chit Chat Blog Hop: What's On Page 25? Kona doesn't just eat undies. Lots of things make him lick his lips throughout the story. 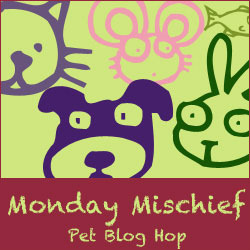 Today we are once again joining SlimDoggy and Peggy's Pet Place for the FitDog Friday blog hop. Yesterday I asked Rita if she wanted to go do a cardio workout with me. Of course she did! We live at the end of a street that splits off into three separate deadends, each with a STEEP hill. Luckily we live at the top of the one deadend, so we don't have to always start our walk with a long uphill slog. But yesterday, I decided we'd hit the hills in each deadend, one right after the other. It was a good little 35 minute cardio workout and we were both panting by the end of it. But Rita didn't really care about that - she just wanted to get out and GO! She doesn't give a hoot about cardio vs. strength training, and could care less about the latest fitness fad. "I love aerobics, especially water aerobics! Gotta get the heart rate up!" "More resistance, Momma! I need more resistance!" "You can make time for stretching by stretching & noshing at the same time." "This is an important part of my recovery. Every athlete knows that!" But Rita's not worried about getting in three hour-long cardio sessions a week, plus 2 - 3 strength sessions, or about keeping her heart rate at eighty percent of her max. She doesn't need a gym membership or any fancy equipment. She doesn't need a pedometer, a chronometer or an MP3 player. She just wants to move more, get out more, have more fun. So, get out with your pup. 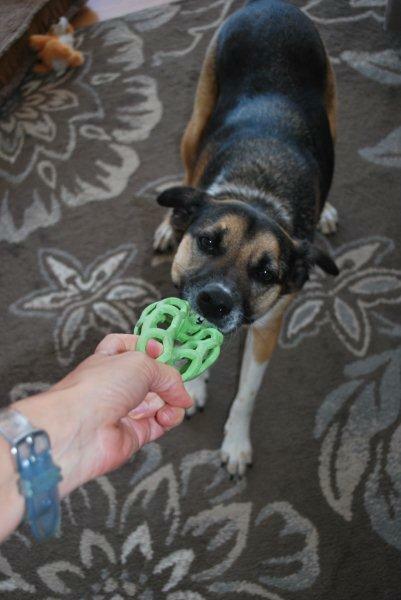 Toss a toy around the yard. Chase each other around the dining room table. Move more, do more, enjoy more! It's good for you and the dog! What's the best part of a dog? 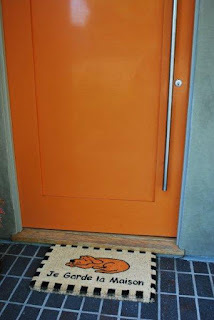 Is it his/her tail, since that's how your pup shows love? 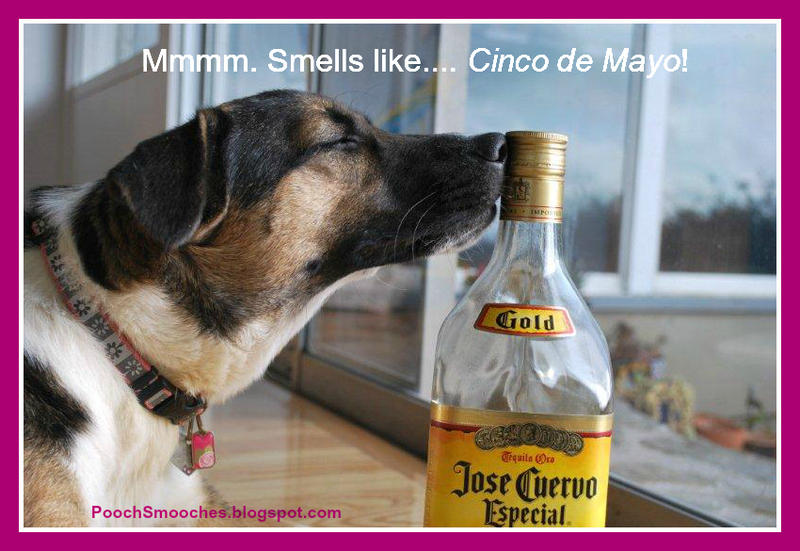 Is it the nose - so perfect for planting kisses on? While those dog-parts are pretty great, I personally think the best part of a dog is it's ears! 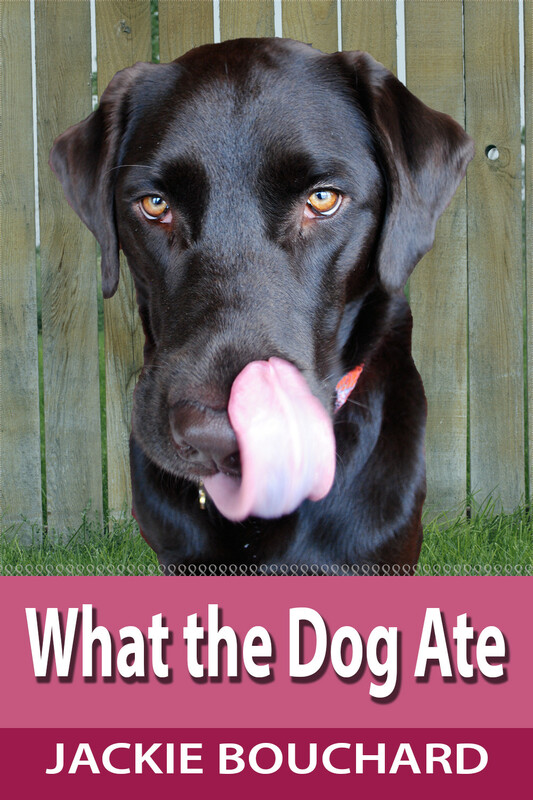 Last week, Pamela at Something Wagging This Way Comes mentioned a fun photo challenge going on at the Raising a Super Dog blog. The blog follows the adventures of Euka II, a puppy in training for Canine Companions for Independence. The challenge was to take of a photo of your pup with his/her name spelled out in kibble. Obviously for service dogs, this is an important lesson - that not everything on the ground is there for their own enjoyment. 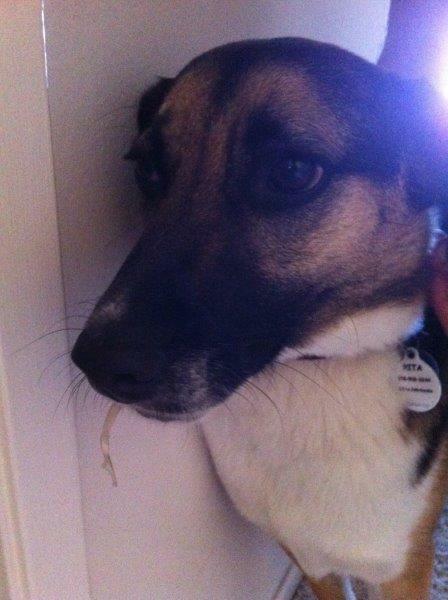 But I wondered, could Rita (definitely not service dog material due to her fears/issues) handle the challenge? We've been working on our down/stay, so I decided to try it. As you can see, success! 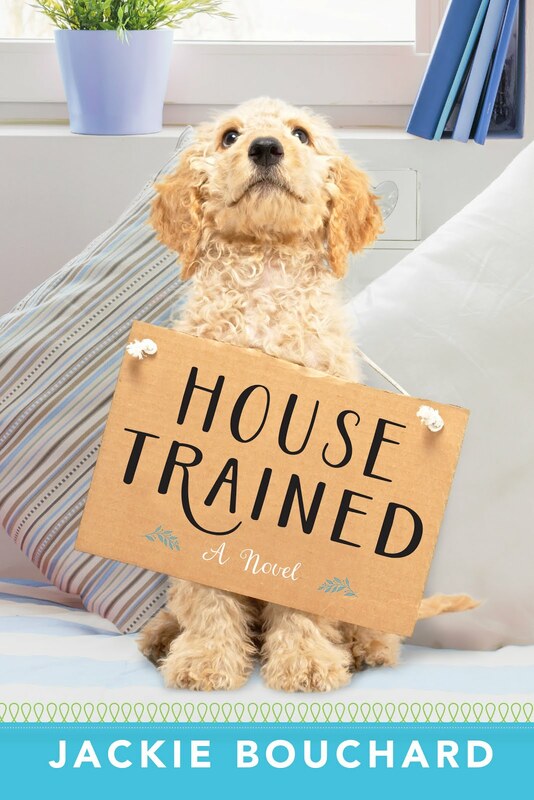 Today on the blog, we have a very special guest post from friend and fellow author, Barbara Techel. In her new book, part memoir and inspirational, Through Frankie's Eyes: One Woman's Journey to Her Authentic Self, and the Dog on Wheels Who Led the Way, Barbara takes us on the journey that led her to live her own truth and live with more joy, all because of what her Dachshund, Frankie, was teaching her along the way. 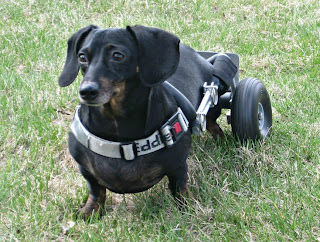 Whether your dog walks on all four paws, or needs a little help like my Dachshund, Joie (pronounced Joey), who has a dog wheelchair, we can all relate to the delicate matter of talking about, err, um, well… poop! There, I said it! My first Dachshund, Frankie, became paralyzed at the age of six. She was diagnosed with a common disease in the breed called Intervertebral Disc Disease (IVDD). Little did I know after she ruptured a disc, and then surgery that might help her walk again, what lay ahead for me in taking care of her. 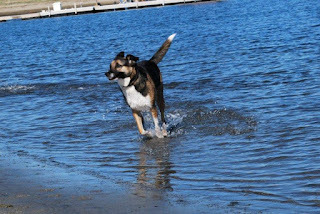 After her surgery when talking with the veterinarian technician via phone I heard the words, “You will need to learn to express Frankie’s bladder.” I wondered, what in the world did that mean? Because of her paralysis, this is the side effect to IVDD. They are not able to feel when they have to go. I would soon learn that pressing gently on either side of Frankie’s bladder would expel the urine from her little body. Now poop? Well, that is another matter all-together! Timing is everything and means either finding “gifts” around the house, or getting her over the toilet in time for those little buggers to plop into. In the beginning I nearly lost my mind as I could not figure out the timing of when she had to go #1 or #2, to be polite in describing her frequent messes. Eventually I decided to change my attitude about her daily duties and trust that all would work out. Once I did that, things seemed to get a bit easier. That is, until one day I had her in to see an acupuncturist. All went well with the treatment and Frankie was feeling quite relaxed. I picked her up and held her in my right arm like I often did, as if carrying a football, with my purse slung over my shoulder. I made my way to the counter to pay for the one hour treatment. As I glanced into my purse to get my checkbook, I wondered what it was I was seeing in the crease of my checkbook cover. Upon closer inspection, I realized it was a small turd. Yup, there it was, lodged into the crease (and just so you know, it’s hard for me to even type the word turd, much less say it- it just seems so un-lady like)! Being the brave dog mom I am, without saying a word, I gently shook the little guy to the side, took out my checkbook, wrote the check, handed it to the receptionist, and proceeded to the front door. 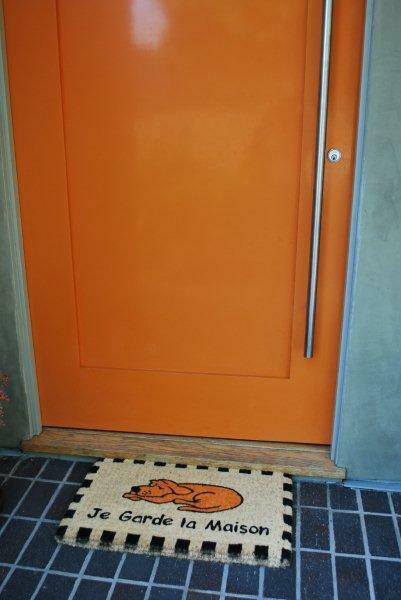 The minute I was outside, I erupted into laughter! I couldn’t help but think there aren’t too many people out there who can say they’ve found poop in their purse. Tears streaming down my face from laughing so hard I got in my car and immediately called my husband. We laughed for what seemed like forever. One woman shared with me that at a dinner party, after uncorking several bottles of wine it was time to re-cork one of the bottles they didn’t finish. The lighting was not all that bright and they couldn’t find the cork. One of her guests began feeling along the floor. He came up with what they thought was the cork, but was actually a petrified turd. Another lady wrote to me sharing that one morning as she was doing some things around her home she kept smelling poop. She couldn’t find it anywhere! She knew it was likely her paralyzed little guy had gone somewhere, but she just couldn’t seem to find where the smell was coming from. Just as she was about to give up, she put her hand into her robe pocket. 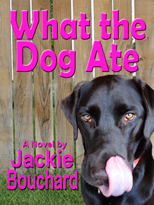 The mystery was solved…and it seems like another Dachshund has good aim just like Frankie! 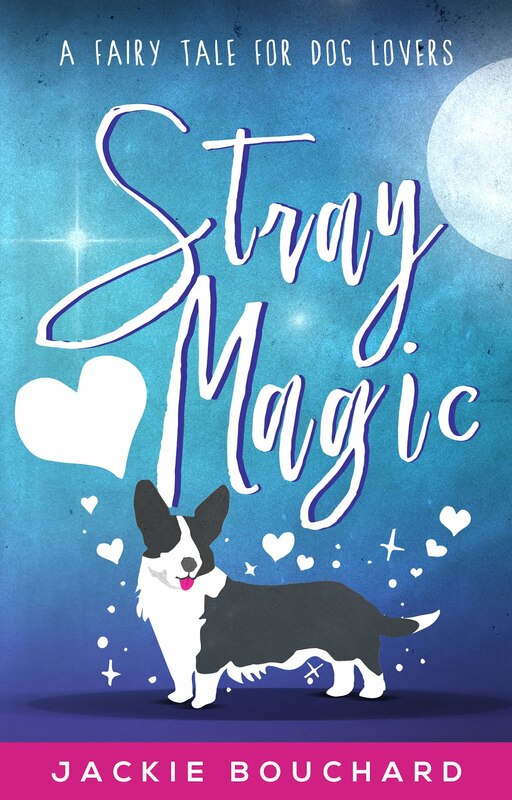 Before having an IVDD dog if someone would have told me these stories, I would have been horrified. But it is one of those things I’ve learned to move past, and instead focus on all the joy and blessings Frankie brought me, and now Joie. I just wouldn’t trade that for anything! And luckily, when you have a small dog, well, one can certainly deal with those little buggers no matter where they decide to show up next. Do you have a funny poop story? Please do share! Barbara Techel is a passionate advocate for dogs with Intervertebral Disc Disease (IVDD) and dogs in wheelchairs. 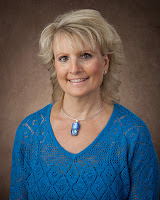 She is also passionate about helping others see their challenges in a positive way. 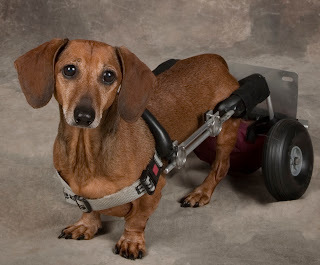 After her dachshund, Frankie suffered a spinal injury she was custom-fitted for a wheelchair and Barbara realized the beautiful opportunity she had to spread a positive message that animals with disabilities can and do live quality lives if given a chance. 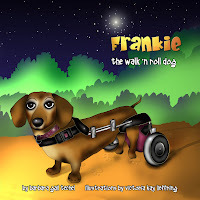 In addition to writing Through Frankie's Eyes, in August 2012, Barbara founded National Walk 'N Roll Dog Day in memory of Frankie and in honor of all dogs in wheelchairs. 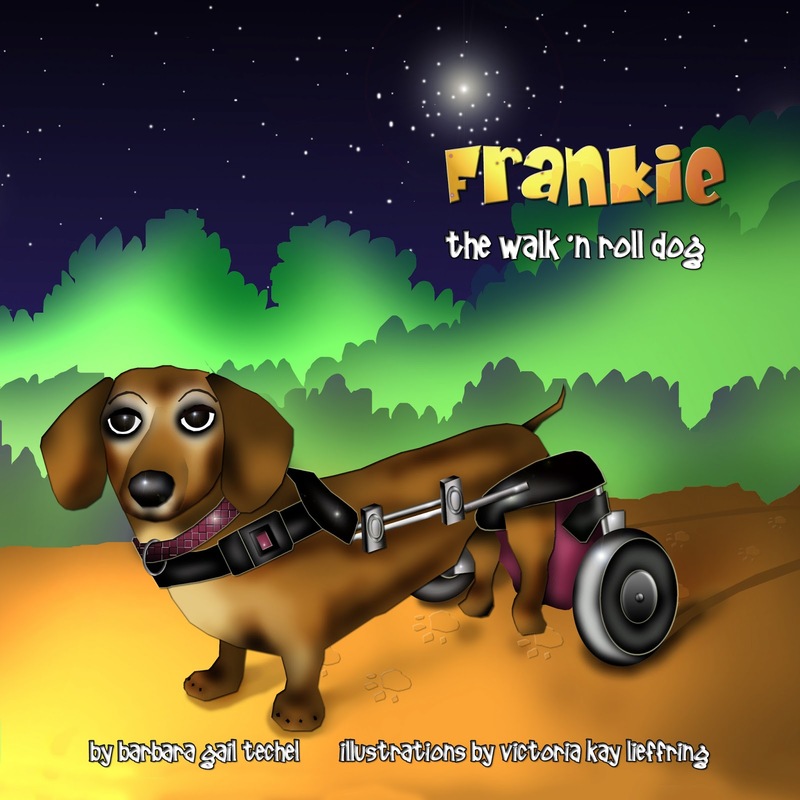 She also started the Frankie Wheelchair Fund which helps dogs who need wheelchairs whose families may not be able to afford them, or for dogs in rescue. To date she has helped fifteen dogs get wheelchairs. 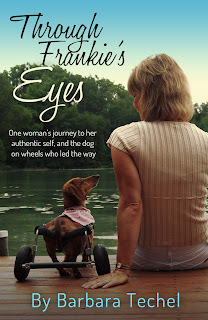 She is the award-winning author of the children's book series Frankie, the Walk 'N Roll Dog which are true, inspirational stories about her paralyzed dachshund. Frankie teaches us that no matter our challenges, we can persevere with a positive attitude. And despite our challenges we can each give back in our own, unique way. 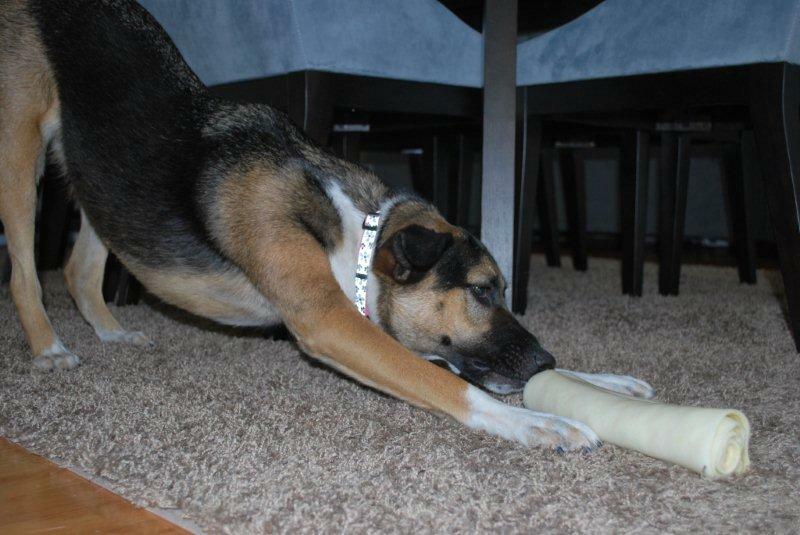 Frankie is Wisconsin Pet Hall of Fame Companion Dog. Barbara and Frankie have been featured in Woman’s World, and countless other magazines and articles on line. When not writing or sharing Frankie’s mission she loves spending time with her new “walk ‘n roll dog” Joie, her English Lab Kylie, and husband John. She also practices yoga daily, enjoys reading, and relishes in the simple things of life. Senorita Rita Needs a Margarita! Okay, I rolled these pics out last year too, but they're so perfect (I still can't believe the faces she made for these pics!) that you should just expect these to be an annual event. Oh, and they're not exactly the same anyway - I played with them on PicMonkey.com! Remember when The Onion "reported" that Kim Jong Un was the Sexiest Man Alive of 2012, and People's Daily Online in China thought it was a real story? Well, something similar has happened only this time it involves dogs, the hub's homeland, and New York magazine. 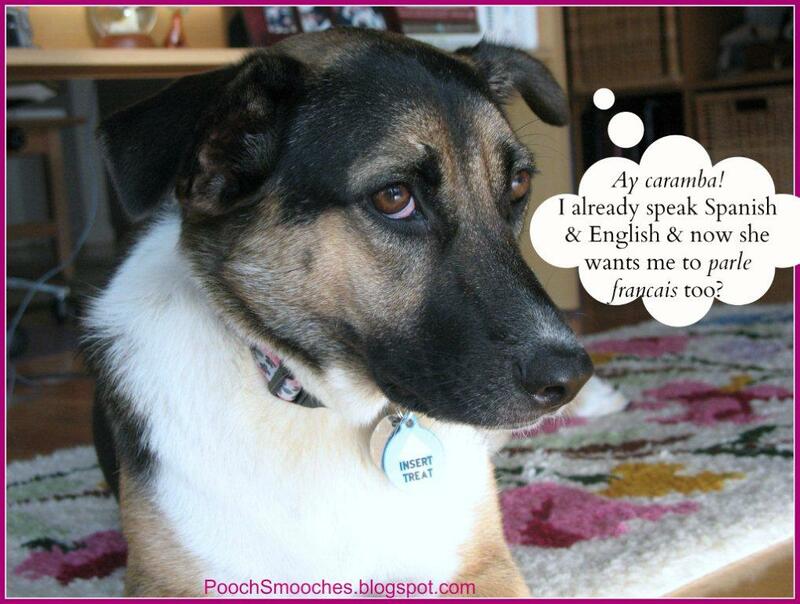 "Oh yeah... and I even know some sign language! Mon dieu." ...cuz it says so right on the box we got today! Yep, Rita won something again! 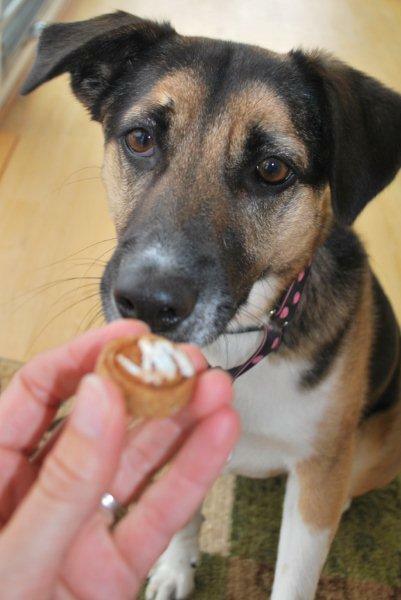 This time from Good Dog Takeouts treats from Jeffie's month long birthday party over at Talking Dogs Blog. 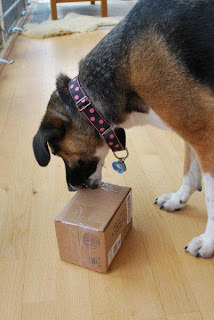 It's no wonder Rita thinks every package that comes to the door is for her - more than half the time, they are! "Oh, for me?? Give me a hand, Momma!"